– Pierre Matisse Gallery, New York. 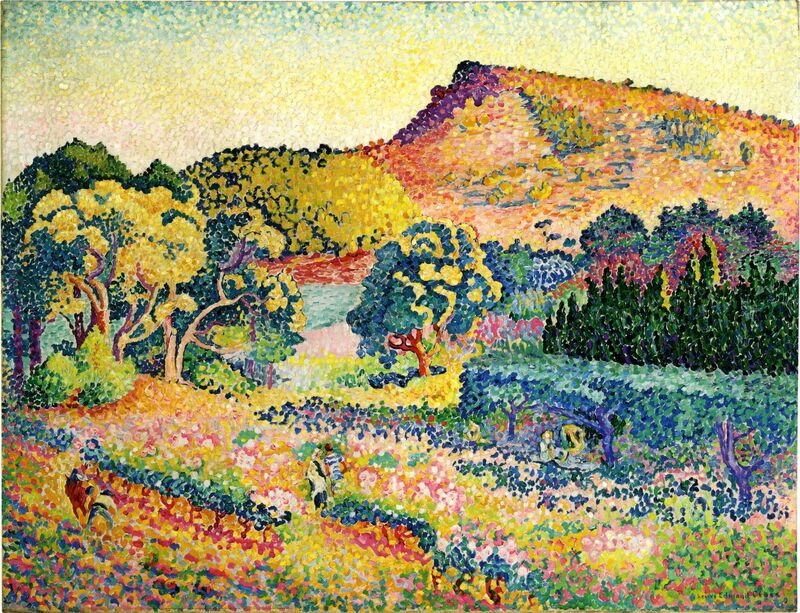 – Paris, Galerie Bernheim-Jeune et Cie., Henri Edmond Cross, April-May 1907, no. 1 (titled, Le Cap Nègre). – Paris, Galerie Bernheim-Jeune et Cie., Henri Edmond Cross, February-March 1913, no. 44. – Galerie Bernheim-Jeune et Cie., Le Paysage du Midi, June 1914, no. 4 (illustrated). – New York, Fine Arts Associates, Henri Edmond Cross, April-May 1951, no. 12 (titled, The Hill of Saint-Clair). – New York, Museum of Modern Art; Minneapolis Institute of Arts; San Francisco Museum of Art and Art Gallery of Toronto, Les Fauves, October 1952-May 1953, no. 3 (titled, Landscape, Le Lavandou).